For Friday evening’s iftari we decided to have Chinese. 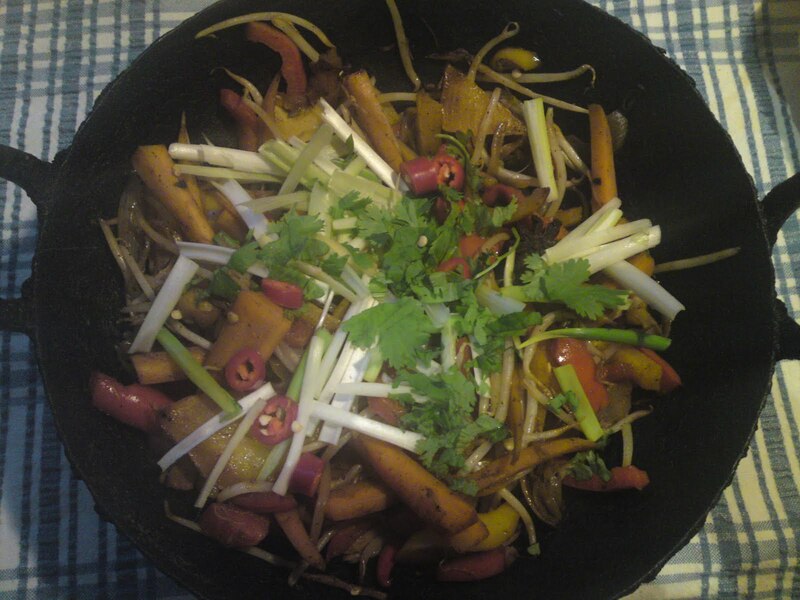 We kept it simple after so many days of what felt like heavy food (I think its more because we aren’t really able to burn the calories between iftari and sehri) so opted for a simple vegetable stir fry: lots of crunchy carrots, peppers and bean sprouts seasoned with the obvious suspects: garlic, ginger and a little chilli, lastly a good dash of tamari sauce, sesame oil and a sprinkle of spring onions and coriander. buy fresh ones from the fish monger but I’ve reached the point whereby I feel absolutely shattered so opted to jazz up a frozen packet. None the less it was still super easy and very tasty. 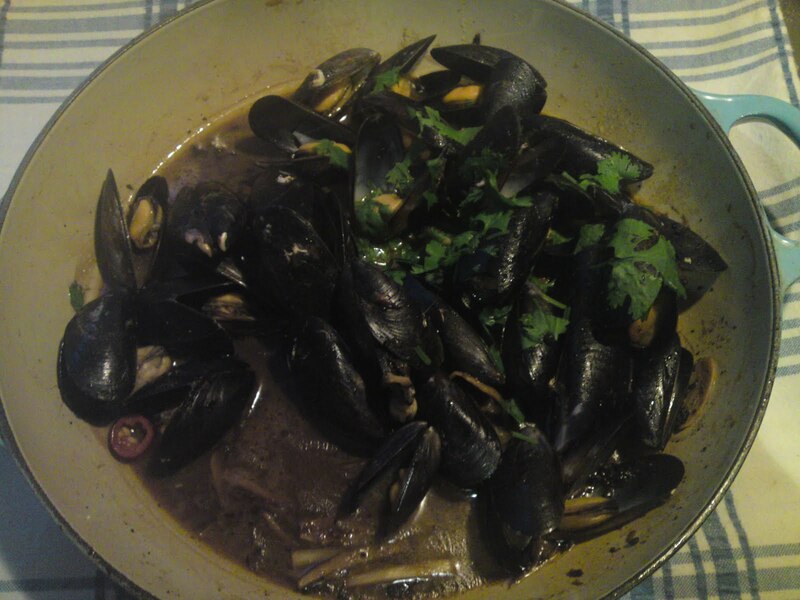 Fry the ginger and garlic in teaspoon of oil, once they begin to release they perfume, add the black bean paste and stir then put in the frozen mussels. Put the lid on and leave to cook according to the instructions on the packet. When cooked top with the chilli and coriander. We served the stir fry and mussels with plain white rice with some prawn crackers on the side it felt like a veritable banquet! For dessert nothing felt more Chinese than banana fritters. 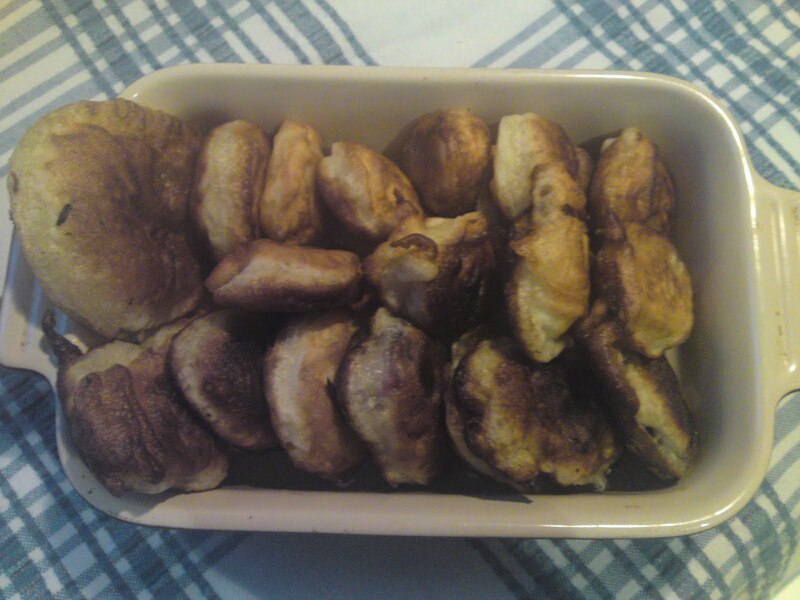 I dipped chunky sliced banana and cherries in a simple cake batter and then shallow fried them. It really gave the required sugar rush. If we had wanted more of a contrast they would have tasted great with ice cream but to be honest the fritters were great on their own.